In another topsy-turvey week for Bognor, the club ended up in a cup final but potentially finally out of the play-off race. Tuesday night’s emphatic 5-1 defeat of Albion’s youngsters will have the Rocks’ fans once more dreaming of the club getting their hands on the Sussex Senior Cup – a trophy Bognor practically made their own in the 1980s. Goals from Harvey Whyte, Brad Lethbridge and Leon Maloney had the tie wrapped up in the first 14 minutes with second-half goals by Jimmy Wild and an own goal by Seagulls keeper Billy Collings completing the rout. The semi-final win was the perfect tonic for another underwhelming league performance at the weekend which left the play-off positions even further out of reach. First team coach Robbie Blake is urging his side to keep on fighting despite the 2-1 loss to Brightlingsea Regent at Nyewood Lane leaving them seven points off the final Bostik Premier play-off berth in 12th. With just four matches remaining Bognor can still catch up with the top five but there are a lot of teams slightly better placed than Bognor that are hoping to do the same. If they retain any hope they must win tomorrow at home to struggling Harlow Town (3pm), who have won one in their last ten, and then pick up positive results at Dorking (A – April 20), Whitehawk (H – April 22) and Folkestone (A – April 27). 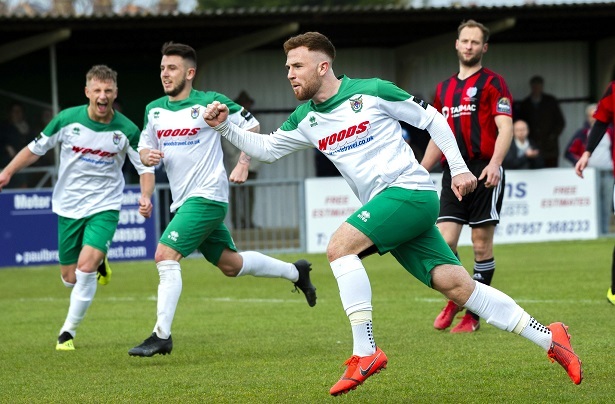 After the visitors took an early lead on Saturday, Bognor poured on incessant pressure and were eventually rewarded thanks to a Theo Widdrington penalty after Mason Walsh was fouled in the box. But a late wonder strike from Regent’s Jake Turner left Rocks contemplating another season at step three in the non-league pyramid.